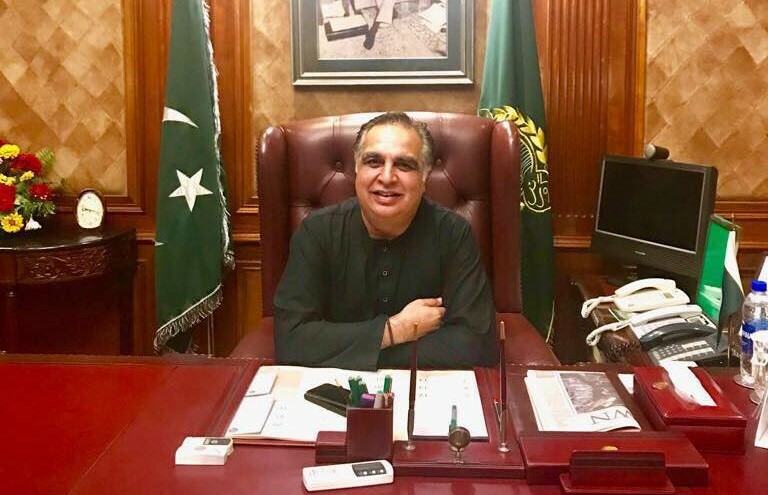 The Pakistan Tehreek-e-Insaf (PTI) is expected to give its party ticket to Sindh Governor Imran Ismail’s brother Adnan Ismail for the PS-111 by-election. Karachi’s PS-111 seat was vacated by the governor after being nominated for the position. PTI’s Ismail had secured 30,576 votes against Muttahida Majlis-e-Amal’s (MMA) Sufian who only managed to get 8,763 votes in the July 25 general elections. Ismail’s brother would be PTI’s candidate for PS-111 by-poll, sources said. It should be noted that the party is yet to announce its official list of candidates for the by-elections scheduled for October. The PTI has been widely criticised for deviating from its core principle of discouraging the dynastic politics. The party had come under fire during August for implementing dynastic politics in Khyber Pakhtunkhwa (KP) by securing party tickets for family members in the by-elections that will be held on Oct 14 for nine provincial and one national assembly seat. Family members of at least three PTI leaders succeeded in securing party tickets for the by-polls on seats vacated after the July 25 elections. Defence minister Pervez Khattak vacated two provincial assembly seats. His son, Ibrahim Khan and brother, Liaquat Khan are likely to contest for PK-64 Nowsherwa-IV and PK-61 Nowsherwa-I respectively. National Assembly (NA) Speaker Asad Qaiser and former KP minister Ali Amin Gandapur also vacated their provincial assembly seats and joined the NA. Asad Qaiser’s brother, Aqibullah has filed his nomination papers with the Election Commission of Pakistan (ECP) and is likely to contest for PK-44 Swabi. Faisal Amin Gandapur, brother of the member of national assembly (MNA) Ali Amin Gandapur is expected to contest for the by-elections from PK-97 DI Khan. The ECP has accepted nomination papers of 652 candidates for by-elections to be held on October 14. The elections will be held on 37 vacant seats of National and provincial assemblies. According to the commission, a total of 676 candidates submitted their nomination papers.